Ethanol continues to sell for significantly less than gasoline, about 40 cents cheaper. That means the 14 billion gallons already being used across this country for E10 is saving American motorists more than $5 billion annually. Translate that your wallet and it represents a $6 per fill-up savings for of an average 15 gallon tank. And if you have access to higher blends of ethanol, like E20 or E30, the savings are even greater. 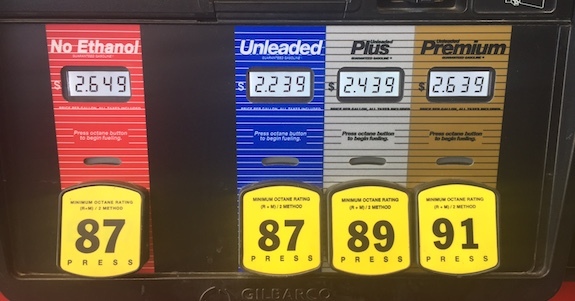 Mid-level blends are premium high octane fuels selling at regular prices. And not to be overlooked are the health cost savings ethanol can bring by replacing toxic aromatic compounds in gasoline. The slow, painstaking road we have taken to finally come to grips with the dangers of tobacco and second hand smoke is a lesson we need to apply to gasoline. The same carcinogenic particulates can be found in both and like tobacco, we need to kick the habit. Dave VanderGriend is CEO of ICM, and President of Urban Air Initiative.